Renovation can be a great way to get instant equity and make money but first you have to find the perfect property to renovate. Renovating can be a great way to gain some instant equity on your property or to increase your cash flow, and there are a lot of people out there who are making a lot of money through renovation in property in Australia. And today I have with me Jane Slack-Smith, who is the author of 2 properties plus 1 renovation Equals 1 Million in the Bank. She is my go-to person for renovations and we are going to be talking about how to find the perfect property to renovate because the biggest mistake that we see people making is they buy a property and they just think, “Okay, I might renovate this property. Let us go ahead and do that,” rather than actually starting from the start and finding the right property to renovate which is going to make your life so much easier. Ryan: So hey Jane! Thanks for coming on today. Jane: Hey Ryan! Thanks for having me. Ryan: Okay. So I just quickly said the biggest mistake that we see people make when they are looking at renovation as a property investment tactic is that they just buy any property, willy-nilly, and they just decide to renovate it. But what do we prefer that people do? Jane: The thing is about making money from a renovation as opposed to doing a really good renovation is that you have to find the right property and it has to have the ability to be renovated and make a profit. So just because you found a diamond in the rough, does it mean that it is going to make you money once you polish it up. Ryan: Yeah. 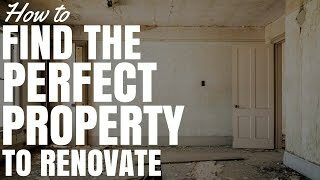 So one of the big things that we have talked about before and that we know is that when it comes to renovating a property, you need to look at the differences in an area between unrenovated properties and renovated properties because it is all good to invest $50,000 into a property but if that only raises the value of that property $50,000, you have done a whole lot of work for basically nothing. And so what we want to do is find the areas where unrenovated properties are a lot cheaper than renovated properties so we can spend $50,000 or 10% of the value or whatever the calculation maybe, and that for every dollar we spend we get $2 back or $3. Jane: Yeah, exactly. And the important thing that I should point out there is that pricing disparity. That difference between renovated and unrenovated is where you make your money. So it is the cost of the renovation, your budget, your holding cost, and then your profit. It all has to fit within those two prices. And sometimes, especially when you are looking at suburbs in the lower price brackets, there is just not enough breadth there to make money. So it is a little funny first of all, stepping back, not looking at the property, but looking at the suburb and location that is going to do that for you. And obviously renovation, there are a couple of strategies. There is that Buy-Renovate-and-Sell or Buy-Renovate-and-Rent, and that means that you are going to be looking at completely different suburbs based on your strategy so you really have to start with the strategy first. Ryan: Yeah. I think it is really important that people understand that because there are so many different ways to look at suburbs and to do suburb research that depending on your strategy you need to look for different suburbs. 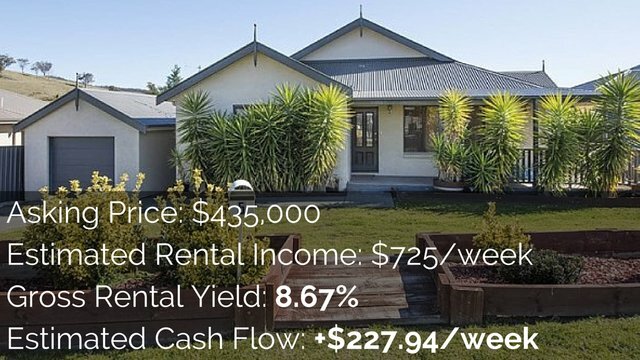 So if I am just buying property and I am just going to hold it and I want some capital growth maybe, or I just want good cash flow, I am going to be looking at different factors of a suburb. Then if I am going to buy s property, renovate it and then flip it within 12 months and then sell it on to someone else so it is very important when people are doing their research. If renovation is your goal, you are looking for the price disparity in the market which means that the properties that are unrenovated are much cheaper than the properties that are renovated. What is the difference between looking for an area, if you are going to flip it, versus if you are looking for an area to rent? I am guessing the price disparity, obviously is, if you are going to flip it, what sort of factors are we looking for if we are going to Buy-Renovate-and-Rent it? Jane: It is a great question and it is a thing that most people miss. 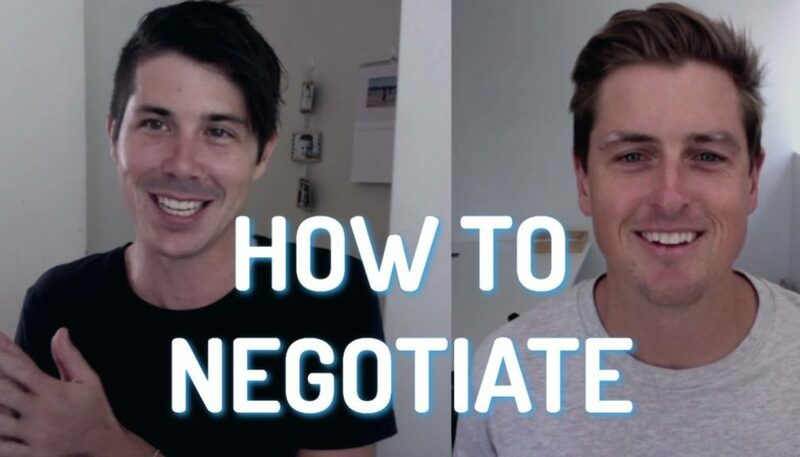 And I know we have talked about this a lot in the past when we have been chatting, but when you are looking to sell a property or flip a property, and people try to do that relatively quickly, within 3 to 6 months, within the same markets so it does not give the time for the market to change. What you are looking for is someone who is going to buy the property quickly. Now, 70% of people who buy properties are home owners. So when you are doing the Buy-Renovate-and-Sell strategy, your target market is the homeowner and you are doing it in a relatively short period of time. So looking at capital growth is not that important. Now, when you are an investor, obviously you want to Buy-Renovate-and-Hold the property and rent it out so you are looking at your target market that are renters. And it is completely different. Some suburbs have less than 30% renters. Now, I always start my criteria when looking at a Buy-Renovate-and-Hold suburb as one that has between 30% and 70% of renters in it. Now there are some great suburbs out there and there are properties right for renovation but there is like 20% renters or 10% renters, which means there is a risk for me not having a market to rent to. So I could have vacancies, I might have the property sitting on the market for ages, I am dropping my price, I am wondering why that a bench stone did not attract people. And the fact of the matter is people do not want to live there and rent there. Now on the other hand, owner occupies, when there is a suburb that is full of own occupies and specifically the streets within the suburbs and you can find that information out, where the owner occupies and where the renters live. You are actually targeting the streets and you know, I set up searchers so that properties on the market come on my Google alerts as soon as they are available because I know what streets owner occupies are looking for. So targeting a specific suburb for your strategy is the number 1 thing that you need to do. Ryan: Alright, so what I heard from what you were saying there is that if you are looking to buy and then flip your property, one of the big considerations you want to take into account is that days on market for a property; so how quickly you are going to sell that property because you do not want to buy in an area that takes 6 months for a property to sell. And there is a great tool out there that is called DSRdata.com.au that people can use to find days on market quite easily. And then for renters, if you are buying to renovate and then rent it out, then you want to look at the percentage of renters in an area and guessing you also want to look at some rental disparity there as well. Is that right? Jane: Yeah, it depends on what your renovation strategy, your Buy-and-Hold strategy is but often when you are talking about rental disparity, you usually obviously push the renter with the renovation, which is great because it helps the cash flow. But the rental disparity is kind of really secondary to having that pricing disparity between the unrenovated and the renovated properties in the streets. Ryan: Okay. Why is that if we are buying it and renovating it to ideally get more rent? Jane: Why are we trying to get more rent? Ryan: Well, like if we are looking at getting more rent for the property, why does the valuation matter so much? Jane: The thing is you are trying to renovate for profits so for instance, as you suggested earlier, if the cost is $50,000 to do renovation and you are only improving the value by $50,000, then there is not a lot of money in there. There is no profit. You are not covering your holding costs, etc. And when you are holding property, you want to actually be adding value to the property. Why do renovations and not make any money? Jane: That is why you need the pricing disparity there. Ryan: Yeah. Because if you were to buy a property and renovate it, obviously you are going to get more rent, but let us say you paid $50,000 for your renovation, what is to say you could not go out and just as spend $50,000 more to buy a more expensive property and that is going to rent for more money as well. Jane: And less painting in the middle of the night and waiting for tiles to turn up and all that pain as well. The good thing to know is that, I spoke to a valuator the other day, and he was saying people spend $50,000 on a pool and the value of their property went up to $30,000. So less than the value they spent on the pool then obviously people doing renovations where they renovate to their own taste, they really focus on the block-type renovation – we are talking multi-million dollar properties here, and they are having all the features and the mod concepts, etc. But it is not fit for the market that they are actually renovating for. So when they go to rent the property out, in any return, the rent is only what the market will bear, and that is based on the income of the people in the suburbs so there are so many factors for research. If you are going to hold property, you want to know things like the vacancy rate, the income in the area, what the typical property is that the people actually want to rent. And then you can just …. …. obviously add money to the property’s value but also push the rent up a bit because your property is going to be better than other properties on the market. Ryan: Yeah, okay. So let us talk about the research aspect of it. So let us say someone is interested in renovating and they want to go into a market, they want to begin to understand, “Is this a good market to look into?” Let us say they have no experience in researching an area, no experience in renovating, what is step number 1 for this person? What is the first thing they should start to look at to narrow down their search into particular areas? Jane: If they are doing a Buy-Renovate-and-Hold strategy, which is the traditional type of strategy and one we are familiar with because that is our homes – that is what we really do with our homes; if that is the strategy that you choose, choose a target city. So we start with the city. Now, one of the things that I teach is try to get what is happening in the city over a long period of time. So I have interviewed a lot of property experts like yourself, we try to get the longest period of time that we can and on past statistics. So with Residex Market Report you can actually get the last 20 years history of capital growth. So I grabbed that information. 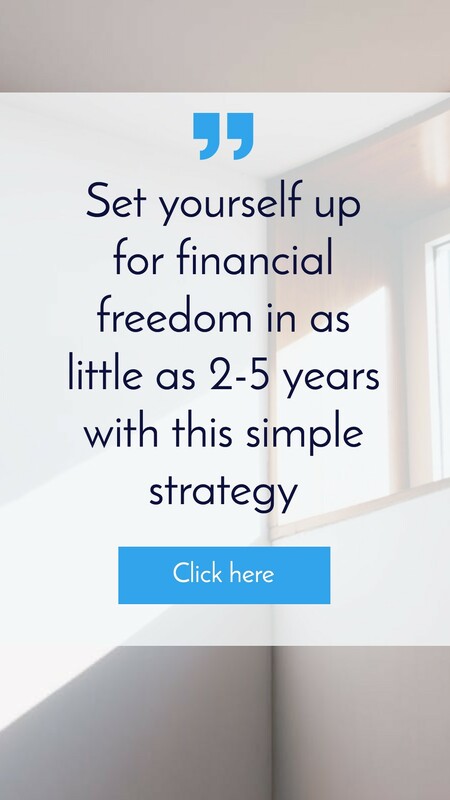 These reports cost a couple hundred bucks and it is a subscription per year so the cheapest information is in the back of the Australian Property Investor Magazine, your investment property magazine. 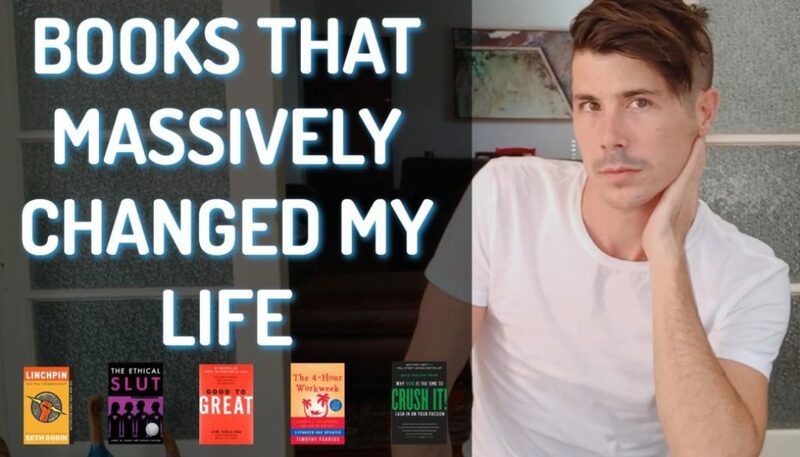 You grab the past 10-year growth and then what I do is my use my Dot-Map technique, which is a lot of fun, especially with the …. Ryan: And then you are going through, basically on that map you are taking different colored stickers and highlighting the different growth patterns over the area. So some areas would have grown on average, 7% per year, so that will get a certain color; other areas would have only grown 3% to 4% per year and so that will get a different color. And so you go through – are you doing the whole city or you are just doing aspects of the city? Jane: That is a really good question because often with my students – especially students. They push back and they go, “Uh, look …. …. eastern suburbs on the northern suburbs or the inner west.” So I am just going to do the Dot-Map exercise here. And you really lose the opportunity to see other opportunities in the area based on your narrow perspective. So I really suggest 4, 5, 10, 20 k circle around the CBD of the city that you are looking at and actually dot all of the suburbs within that 20 Ks. Now the really great thing that we are trying to get to here is we are looking for that ripple effect. So we are looking at the facts that due to affordability and maybe infrastructure access, what you have seen is a number of suburbs that have had great growth but there are also suburbs around them that are usually a little bit more affordable and have the necessary growth. 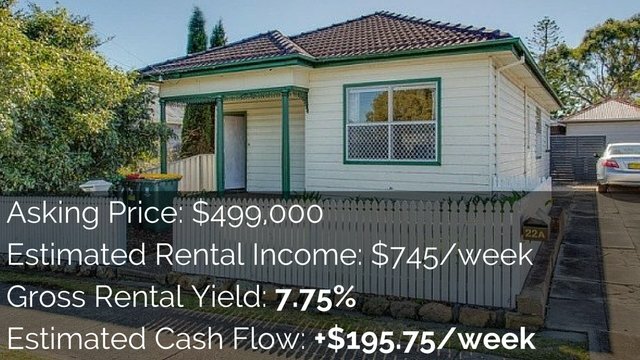 So when people cannot afford the $600,000 in the eastern suburbs area, they move to the next suburb and that is what we have seen with for instance in Sydney; I board a property in Kingsford when in 2006 where the average price was $650,000. Now we had Coogee, Randwick and Kensington, they all had a medium price but they are a lot higher – by hundreds of thousands of dollars higher than that but there are streets separating them. Now, 2016, so we are 10 years later, the medium price as a reporter looked at it today, it is $1.8 million for that area. So people who cannot afford the Kensingtons, the Coogees, the Randwicks, they started having a look at Kingsford and then Maroubra and Eastgardens and Mascot and that is that ripple effect and the affordability factor that you can cash in on. And so what I am trying to do and that is the very first step before I get into all the analysis, is that Dot Map, so you kind of sit back and you have a look at it and go, “Okay, where is the pricing pressure on?” and often what you see, and when I do this exercise for students in Brisbane, you see the growth go out around the city but then on the major arterial roadways you see an avenue of growth as well. So it is around looking at that information, sitting back and contemplating it, going A) what can I afford, which is an important place to start; but B) where is the next area that based on this ripple effect scenario, I could start targeting. And then you select maybe 5 or so suburbs and that is when you start doing all the analysis. Ryan: Okay. I just want to make sure that people understand what we are trying to get here. We are trying to look at the city as a whole and see the areas that have had above average growth over the last 10 years, is that right? Jane: What I am looking for is 2 increments of growth between suburbs. So I am looking at maybe there is a suburb that has had 6% to 7% growth so I am looking at suburbs that are around that that may have had 3% to 4% growth. So I am looking for 2 increments so it does not necessarily mean that that suburb because we are in a property cycle, some areas had 17% last year but other areas did not. But what we are getting with that 10-year growth is quite getting that equilibrium of what has happened over the long term of the area, so I was looking at Brunswick yesterday and it had over 17% growth, but long-term over the last 10 years, 6.2% growth. So it kind of gives you the equilibrium of the ups and downs and the troughs, so I am not necessarily saying the surrounding suburbs have to be over 7%, 8%, 9%, 10%; I am saying I am looking for 2% increment that gives me the opportunity to say there could be some growth potential in this next suburb. Ryan: Yeah. So you want to look potentially at a suburb that is 2% behind a neighboring suburb? Ryan: So basically it is like tennis, you have to win by 2 points. Ryan: Except in this case the suburb has to be losing by 2 points because then it is going to come back and win it. Jane: Yes, exactly. I want to give enough scope to make some money, not too close. Ryan: So what is the idea with that? That is if we are looking to renovate and then hold the property, the goal of that would be to hopefully get some capital growth there. That is what actually defines disparity within the suburb itself, is it? Jane: No, that is the next step. Ryan: Okay. So that is our first step. 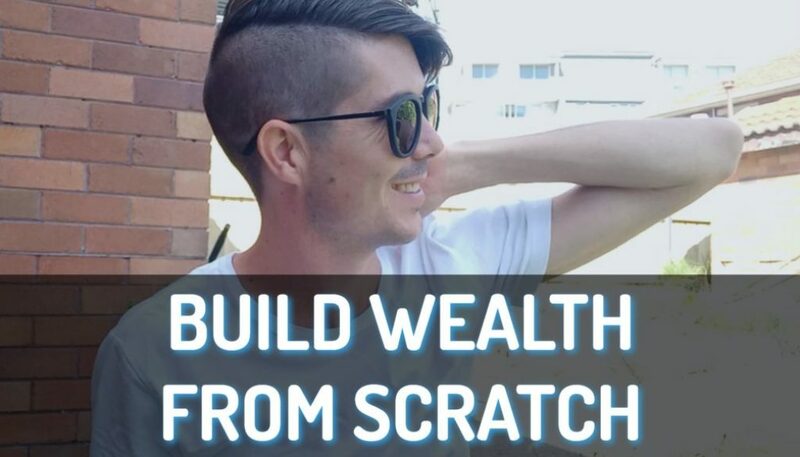 We narrow down the suburbs because we want to increase our chances of making money, so if we file a renovation then we can make money through capital growth – your tried strategy that you talked about. So okay, we narrowed down our areas; let us say we have a few areas in a particular city, what is the next step that we need to take to find that disparity in terms of property in an area? Jane: Look, you can do this manually and you can go through and you can basically go to every open home or go over all the internet and you try to find properties that look different. So the unrenovated and the renovated, and you might have a spreadsheet that says per square meter, the renovated – there is a ceiling of this, the unrenovated – there is a ceiling of that, it is really manual and a lot of hard work, much rather by $200-report or subscribed to a $90-amount subscription with a software that allows me to determine that. So the places that I get that information, first and foremost, when I am still looking at the big city and I want to add a lot of suburbs onto my location before I go down to my next level of research, the things that I am looking at are their top 100 renovated report, which I buy for say Sydney or Brisbane. Ryan: Is that from Residex as well? Jane: That is from Residex and or, if you have actually got yourself down to 3 or 4 suburbs, you can actually buy the renovated report for that suburb. Now, it might not necessarily have the price disparity in it that you need, the top renovated report does actually do the top disparity suburbs, so what I am usually trying to do is I am going to try and create that master list. So I start with my ripple effect suburbs, I then put my top 100 suburbs on there, I am then looking at the suburbs that might have caught my interest. One of the other tools I use is Ripehouse.com.au, the software program. So I pull that up and in the different suburbs I can actually have a look and maybe choose a flipping strategy. Now the flipping strategy shows that there is a lot of disparity between the upper and the lower medians for a specific suburb so I am using all these tools to try and come up with my short list of suburbs that I can move into my spreadsheet. Now, once I get into the spreadsheet from all those source documents I am looking at my very first criteria is my purchasing price. So it might be less than $500,000; everything is over $500,000. Give myself a 10% negotiating window, so $550,000 – everything over $550,000. But my next thing, because I am holding this property, I want to rent it out. I need to have the renters! So anything that has less than 30% renters goes. I am really getting down and narrowing down what I am after. Now, your next criteria can be something like yield. So you want to have a yield on the property that is greater than the yield for that capital city, or you might want to have a past growth that is greater than it. And one of the things that my location master class spreadsheet that I have is I pull in all the surrounding suburbs and I am often trying to make sure that there has been good growth in the past in my suburb because I am not going to be the first to market, discovering the greatest thing in the world, no one has ever wanted to live there before. I want to have some proof that people wanted to live there before. But I also want to look at the surrounding suburbs and make sure all the surrounding suburbs validate that ripple effect that other people would want to live there and there is that kind of pressure to look at my suburb. And what you will find is that the suburbs closer to the city are going to have the greater growth and try to get down in your criteria and you start looking at all those other things that are important: days on the market, percentage crime for instance, the pricing disparity which you can get from SuburbView.com in their reports under yield – 3-month rental yield, you can have a look at the difference in rent between a 2- and 3-bedroom property or a 3- and a 4-bedroom property. So you are starting to build up your knowledge base and then I jump straight onto senses. And I go into market facts, really quick market table and I pull it up and I put the suburb in there and it will tell me how big is the suburb – I want more than 2,000 residents. Now this is my analysis on Adelaide recently, and so these suburbs in Adelaide are like 4 blocks wide, that is less than a kilometer square meter and I am like, I want to have also, regular sales. I want at least 10 sales a month. There are not 10 sales a month there. 70% of the market are owner-occupies, they are out there and they are trying to buy and they get emotional. If there is any 3 sales a month, I do not want to make one suburb that has 3 sales a month my go-to suburb because I could get out beaten all the time so I want to make sure I have the chance to buy as well. So these are a lot of criteria. Ryan: Yeah, I love your approach. And I know I have said this many times before but I just love that your approach is a lot about risk mitigation. So rather than being like let us identify the one suburb that is the hot spot for renovation and you are going to make $300,000 in 2 weeks in this suburb, to be like no, let us take all these data, let us take all of these different techniques, mix the Dot Map with the Residex market report or the top 100 renovator report – mix that with some of our own research enterprise disparity. And to find a few suburbs that look like they are going to have a good chance to succeed, and so I think people might need to go back and listen to that twice, 3, 4, 5 times to get all of what you said but I think the big thing that I think people should take away is, there is not going to be one thing that you can do to identify the perfect suburb to purchase in. And because you can only purchase likely one property in one suburb, unless you have the funds to do more than that, really, an approach like this, doing risk mitigation, looking at a lot of different factors in the area is probably going to be your best to get something that is at least going to achieve some sort of success. Jane: Exactly. And you know, I used all these criteria for …..
…. oh my gosh! It has been 3 or 4 years. Did I get this wrong? Was my formula working? And all of a sudden boom! It worked! And I went in last year and I did a quick 6-week renovation, $33,000 is what it cost me. Everything was gutted other than the bathroom so we redid the kitchen and the works. I had it valued before; I did the renovation at $820,000. I had it valued 6 weeks later, after $33,000 spent, at $920,000 by the same valuer. I did not try to get a new valuer and it rented at $50 a week more. So you know, sometimes, I know the formula works. Sometimes time and GFCs, whatever come into play, but what your foundations of actually selecting the right suburbs are and with those growth potentials and the income drive and the infrastructure and being close to all those things and amenities, then I find that the formula works and it pays off. And I know a lot of people have used this technique and I spoke to a lady just on Monday, who used this to buy her own home in Adelaide, and she said it has gone up $170,000 in 2 years since she bought it and we used all the old renovation location master class techniques to buy a home and renovate it. SO you know, just even creating wealth in your home by using these and like heading the property in the right area. It is just amazing, so I do not think people should leave it to chance or have a hope strategy. There is enough information out there for us to really narrow the risk down on any investment that we make. Ryan: Yeah. And I think this is great information for people because so many people go out – and it is so overwhelming to invest in your first property and understand all of these different stuff about how the markets are changing and how to do suburb research and how to do property inspections and all of these sort of stuff. And so for people to go through at least this step and to do your Dot Map and to maybe get a Residex report or to look at some other aspects of the area, and at least then you are minimizing your risks in terms of taking away some suburbs that might not potentially grow and you will be able to see some trends and be able to identify some things that are happening just by doing this, so I think this is a great step for people. We have been talking a bit about The Ultimate Guide to Renovation, which is of course your course. For people who are interested in learning more about this and doing research in order to renovate as well as the nitty-gritty of renovating like inspecting properties and what to actually do once you buy it, can you tell us a bit about what is the ultimate guide to renovation? Jane: Well, in the next couple of weeks people are going to be getting a lot of information about it. We only opened …. … a week in March and a week in September, so we really want to get in. We are so committed to the success of our students rather than just having a course that anyone can turn up at any time. It is an online course. Students of 2013 are still going back and accessing all the modules and all the updated information. It is a 12-week course. The first 6 weeks is really about heading the area and information and creating the strategy. There are so many tools like the Location Master Class Spreadsheet where you have all that criteria listed down for the suburbs or the Quick Quote Calculator where we have 20 years of intellectual property of being able to quickly calculate your budget for your renovation; true to cosmetic renovations, structure renovations with our boxes of that technique. But there is so much in the course and I am so proud because we have so many successful students doing this. I have one student in Queensland who did it in 2014, last year she was employed by 7 different people using our techniques to renovate their properties for them. She has made a career out of it. So you know, these people using it for their homes and for investments and to locate properties and maybe outsource renovations – we teach you how to do that, or how to engage a buyer’s agent, how to do the checks but the course itself – I am so very proud about, but I know that one of the things that really makes people – and I speak to people every day, and they are really hesitant about is choosing the right suburb and then choosing the right property. That seems to be the thing that holds them back. I have a webinar coming up on the 24th of February, 9:00 PM and I would love people to register for it. I would have to warn you, get on early because we have over 1,500 people register last year and I only have a capacity for a thousand. So get on early and be ready, but what we are doing is I am going to go through a news, a lot of websites, and do analysis of properties that are on the market at the moment. So I am going to choose 7 properties and with the help of the people on the webinar we are going to get down to 3 and I am going to choose a winner. But people can post properties for me to have a look at that are on the market at the moment. I am going to choose 7; I am going to show you how to go through the websites and actually do research. And I think that that is the thing that people cannot sometimes – limits them, and I speak to people and go, “I have been looking for 2 years,” and I am like, “Oh no no! You can do it quicker than that. Let me show you.” So this is what I am really excited about. So hopefully people get on it and I hope you have a link there that you can send them to. Ryan: Yeah. So you guys can get access to that through my affiliate link which is OnProperty.com.au/reno, which is r-e-n-o. And basically I think that is going to be awesome because what you can do is, when you register for that webinar you can also submit a property that you would like Jane to look at, and she is going to choose from the properties that people put on there and she is going to choose 7 properties. and she is actually going to go through the research that we have been talking about in this episode, which has been a lot of theory in terms of what you should do and what is going to happen on that webinar is that Jane is actually going to put that theory into practice on 7 different properties and actually go through and analyze them and say is this good?, is this not good?, why not? She will narrow it down to 3, and she will pick a winner from the 3. I think it is going to be a good application of everything that we have talked about in this episode. And again, you guys can go and you can sign up for that free webinar. Go to OnProperty.ocm.au/reno, r-e-n-o. And as Jane said, she does have a limit of a thousand people. I am guessing using GoToWebinar that have this limit of a thousand; I do not know why they do it but there is a limit there of a thousand people and yes. And so it is going to be first in best dressed in terms of who registers and who turns up on the night, so I will definitely be tuning in to that and I hope you guys tune in with me. The link again, in case you did not get it, OnProperty.com.au/reno. Well Jane, thanks so much for talking through this. I learned so many different things that we had not already covered because we have done a few interviews. Ryan: Every time I talk to you I learn more about how to pick the perfect property to renovate. I just love that you are willing to share your knowledge with people. I love that you are willing to help people. So thank you so much for coming on. Are there any last words that you would like to leave with people? Jane: It all comes down to selecting the right suburb to fit your strategy and the right property and then renovating and making sure you have that disparity. So people, keep that in mind. And then as you said, jump on that webinar. I had to limit the properties because the last time I did this I went through 20 properties and we were on for hours, and so people were falling asleep including me. So I put a limit this time but I am really excited. It is going to be huge, a huge amount of people. I am very excited about doing this so, yeah. Please join me on Thursday night. Ryan: Yeah. So if you are interested in renovation or just in doing your research, OnProperty.com.au/reno and until next time guys, stay positive! A New Way To Search For Real Estate (MyRealEstate.com.au)	Are You Taking Responsibility For Your Property Investing?